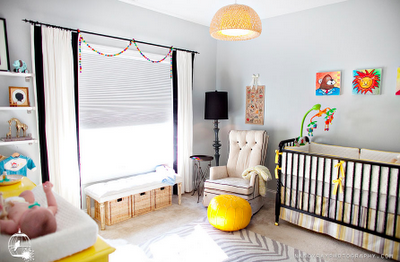 I'm having a lot of fun dreaming up what Liam's nursery will look like. The colors I'm using are gray, yellow, white, and green. We already have the Jenny Lind crib and some shelves up, but that's about it. I'd like to get an Eames-inspired rocker, some book shelves (not sure if I want to go with floating shelves, sling shelves, or cubes...or maybe a bench/storage combo), an old dresser painted bright yellow, and a few artistic touches. 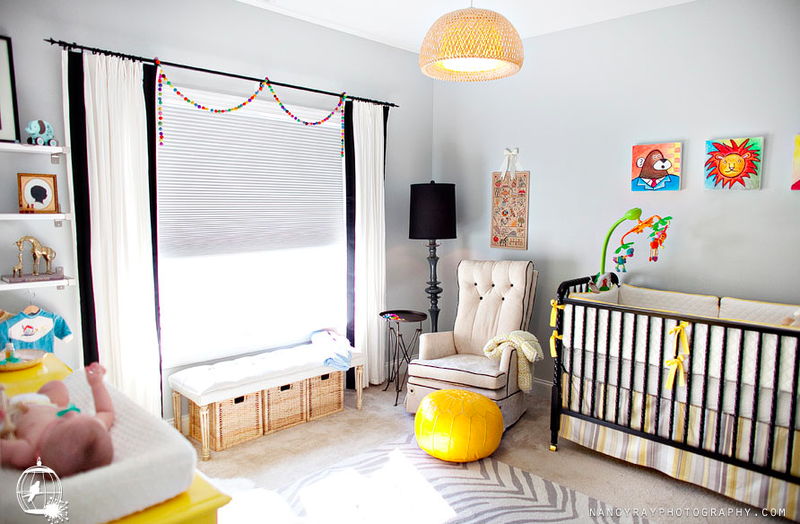 Here are some beautiful baby rooms that have been inspiring me.